Detroit has been one of the saddest cities in the country for a long time. But economists believe that retailers are slowly finding their way back to the city, and as of May 26th 2016, Nike is leading this charge. The new two story shop in the heart of the city is being dubbed a "community store" with nearly 80% of its employees living within a 5-mile radius. The company is also pursuing this community model in less affluent areas of New Orleans, Los Angeles, Brooklyn, and the south side of Chicago. Part of the plan involves giving $5,000 grants to nonprofit organizations each year, benefiting these lower class communities. 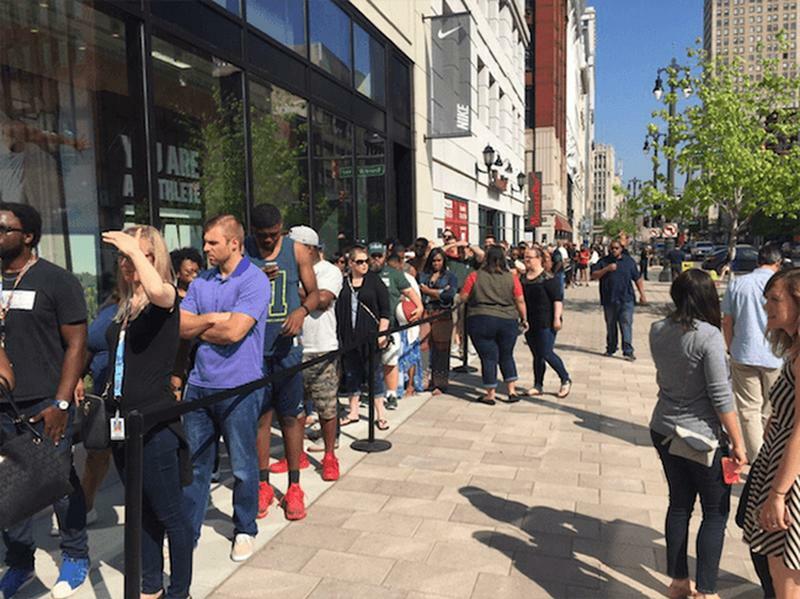 The day the store opened, the first 200 shoppers received a free pair of headphones and $10 store gift cards. Not bad, eh? Consequently, lines wrapped all the way down the block. Nike's effort to promote exercise and positivity in Detroit might provide a much needed impetus for change in a city ravaged by unemployment, disintegration of the family unit, and overwhelming poverty. A new trend is being set by this retail giant, and if all goes well, maybe other companies will follow suit.